“Amid the false and malicious accusations hurled against organizations like Karapatan, we have been openly addressing these issues as we ask for dialogues with the European Union and other governments to directly talk to us. We are confident that these red-tagging schemes, taken to the international arena by a government who wishes to discredit us, will be sufficiently refuted by years of our human rights advocacy for marginalized communities. We echo the same challenge to the Duterte government and its rabid gang of militarists: If indeed human rights organizations are merely spouting lies to defame the government, then do not block efforts by the International Criminal Court (ICC) and United Nations Independent Experts to investigate these human rights violations that we have reported and exposed,” said Karapatan Secretary General Cristina Palabay. Karapatan made the challenge to the Duterte government after a delegation called the National Task Force to End Local Communist Armed Conflict (NTF) made rounds in diplomatic missions in Europe, maliciously red-tagging several organizations. On March 29, the government has made moves to formally ask the European Union and the Belgian government to stop funding organizations which they allege are fronts of the Communist Party of the Philippines and the New People’s Army (CPP-NPA). “It is clear to us why there are very persistent efforts to undermine our work and discredit our organization. We are being singled-out, harassed, and our work criminalized because of our advocacy to continuously expose human rights violations and initiate efforts and campaigns to hold the Philippine government accountable as the primary duty-bearer of human rights promotion and defense. Instead of directly addressing the issue, the Duterte government and the NTF plan to resolve the matter by simply maligning organizations who refuse to be mouthpieces of this government. Their plan is to harass every critic, call them terrorists, communists and enemies of the State, incite violence against them, move to defund their organizations, and ultimately silence those who challenge their narrative,” added Palabay. Palabay further assailed the government for flagrant hypocrisy, telling critics that they have nothing to fear if they have done nothing wrong, while also withdrawing from the Rome Statute and blasting any attempts at investigating allegations against the administration. “We echo the bold statement of this government, and hurl it right back at them. If you have done nothing wrong, you have nothing to fear. We repeat our call for the Duterte government to welcome national and international investigations on alleged human rights violations in line with the war on drugs and the government’s counterinsurgency program,” she emphasized. The Karapatan official said that “despite the threats and continuous red-tagging, human rights defenders are here to stay and confront these desperate lies against us, unlike this cowardly government.” She dared the Duterte government to issue official invitations to UN independent experts who have long-standing requests to visit the country, including UN Special Rapporteurs Agnes Callamard, Michel Forst and Victoria Tauli-Corpuz. “The NTF and the Duterte government are now seeking to defund us by promoting smear campaigns and parading lies. 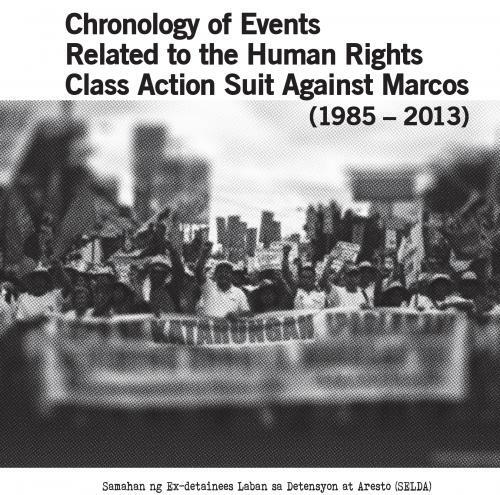 We reiterate that the human rights violations we have raised are based on actual reports from communities, leaders, sectors, and human rights workers on the ground. 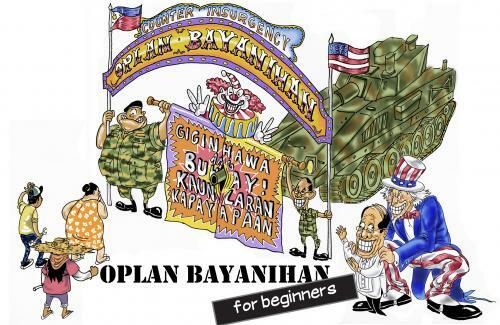 We likewise call on the EU and other governments to also review the funding that they give to the PH government and its arms deals with the Armed Forces of the Philippines and the Philippine National Police, as these maybe used to fund State terrorism and kill more Filipinos in line with Duterte’s war on drugs and counter-insurgency program. We enjoin the Filipino people to demand accountability with regard to our taxes amid the corruption, ballooning debt, and human rights atrocities being committed by this regime,” Palabay concluded.